Are you having a party to celebrate the big game this weekend? Our home team is on their way to the game, so we are excited for a fun day of football, commercials, and of course yummy food with some friends and family. I enjoy having football watch parties so much because it is such a laid back and fun setting that can be pulled together easily. Grab your favorite jersey, a few cute decorations, and of course, some easy game day food and everyone is ready for the big game! I am not a fashionista, I am a work from home mom that owns more black yoga pants than my husband things is normal but at a game day party, I can rock a cute outfit and stay comfy! Throw on your team’s jersey which looks amazing with those yoga pants, maybe add a hat or some cute stickers, and you have a festive game day look to cheer on your team to victory. If your a sports mom like me, you likely have all sorts of things around the house that can double as game day props. 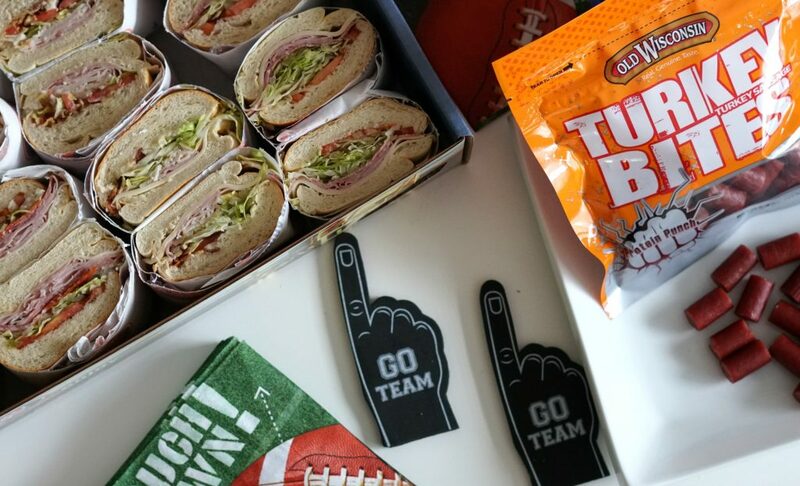 My boys always have the football out while watching the game, the wall banners from their room can become a cute decoration on or behind the food table, and some cute foam fingers and pop confetti are inexpensive items that can really add a lot of fun to your party. Let’s face it, the food is the main attraction! You can’t have a football watch party without some delicious snacks to keep everyone’s energy high during the wins and losses of the game. 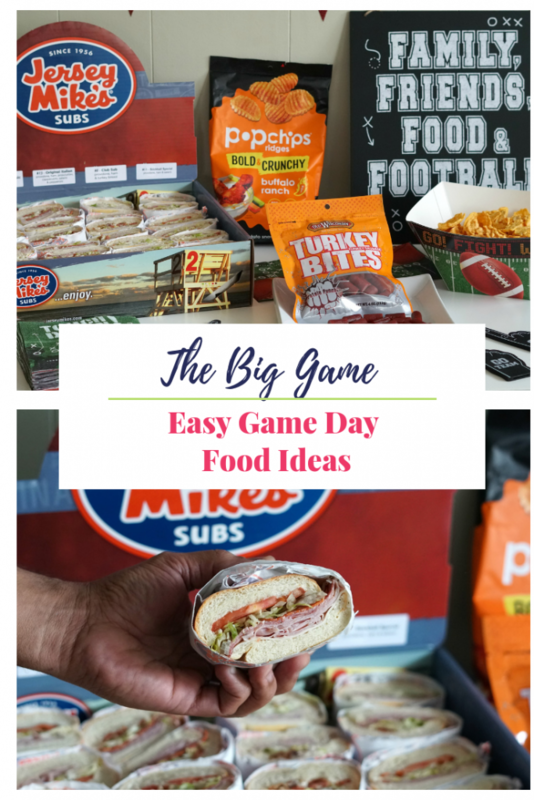 For the big game, I am always looking for Easy Game Day Food Ideas that will keep the boy’s stomachs satisfied and keep me from wasting the game in the kitchen. This year, I have some yummy treats lined up that my family will love. My family loves Jersey Mike’s, there is a location 5 minutes from our house and the subs are amazing. 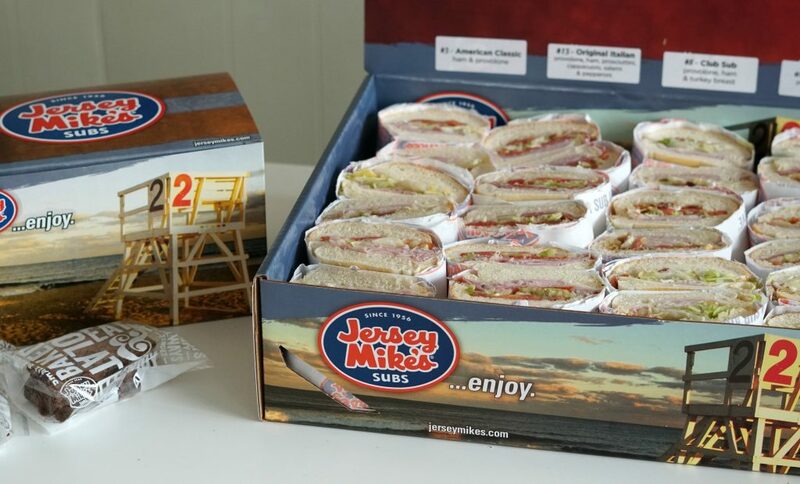 Using Jersey Mike’s to cater the big game is a huge win for us, They have customizable catering boxes to fit your party needs and make your game day meal a hit. 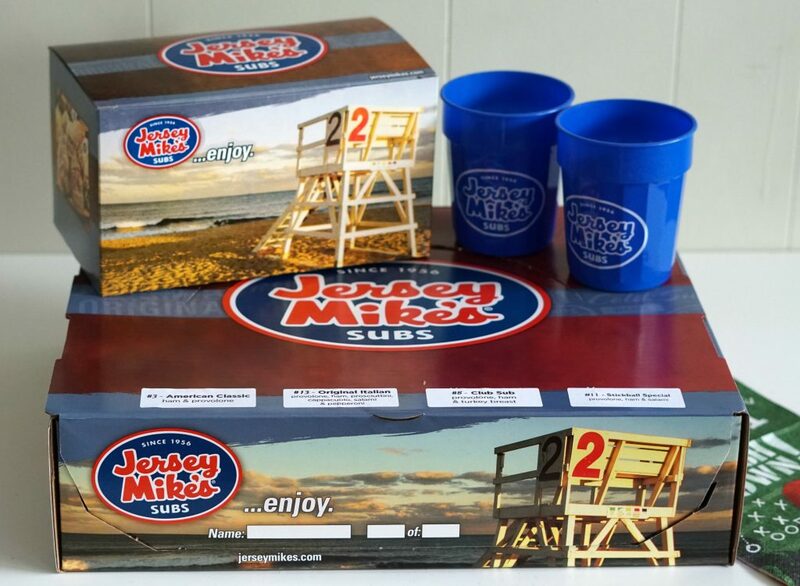 We are serving the “Subs By Box” which includes 4 giants subs of my choice, cut up and served in a display box. Delicious with very little cleanup, win-win! I also grabbed a brownie platter box from Jersey Mike’s which include 12 sweet and gooey chocolate chip brownies to satisfy everyone’s sweet tooth. 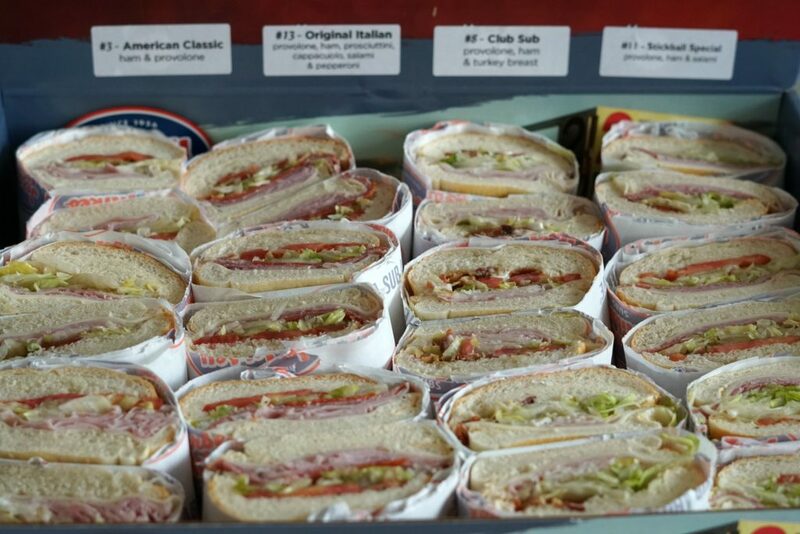 Learn more about Jersey Mike’s Catering here. 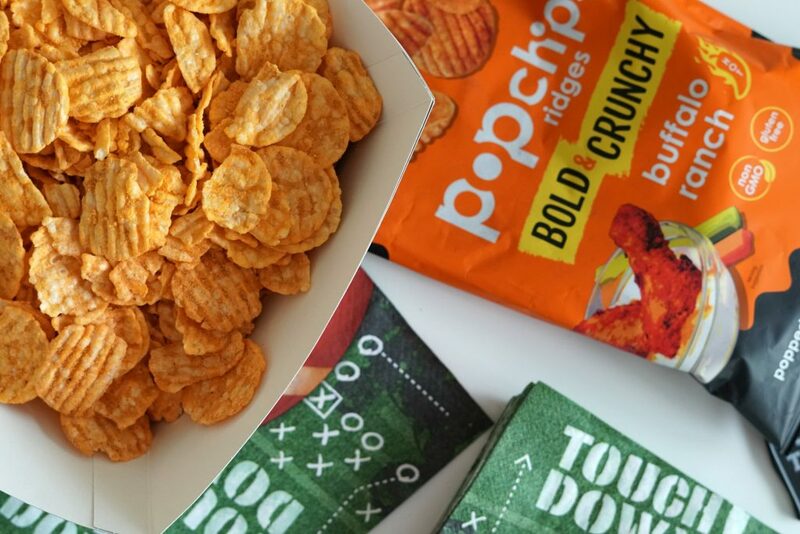 Chips are a must have at any game day party, and popchips are the ones to serve! popchips are a great tasting crunchy snack that comes in 10 different flavors. They are ridged and sturdy to pair perfectly with all your game day dips. Plus, they arne’t deep fried, making them a better-for-you snack! No party is complete without ridges! Grab them at your local grocery store or on Amazon. Old Wisconsin Snack Bites are made with the finest meats and spices and are the perfect size for snacking. The Honey Brown Sugar Turkey Bites are feature protein packed turkey in a sweet and smoky snack bite. Are you on a high protein or gluten-free diet? Then these are perfect for you! The delicious taste and premium ingredients make these a game day (or on the go) snacking must have. They are available in 2, 4 and 6 oz. packages. Learn more about these delicious Old Wisconsin Snacks here. Are you ready for the Big Game? 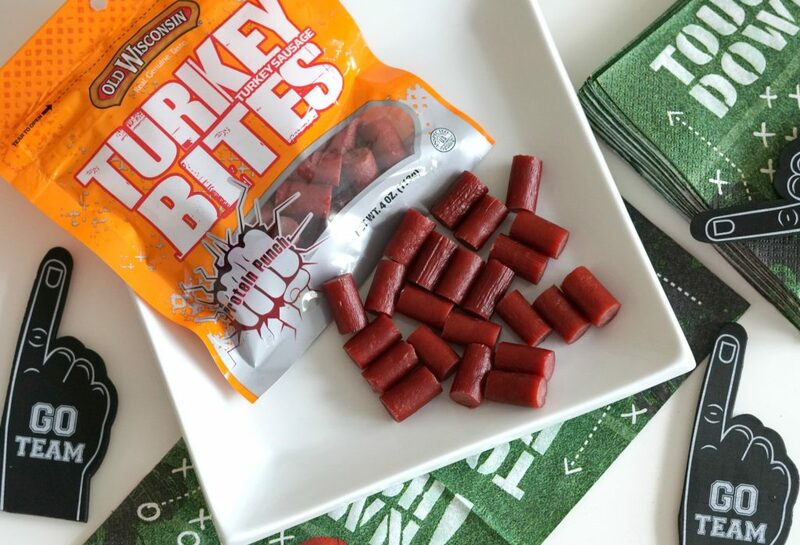 What’s your favorite Game Day snack? Subs by the box is an awesome idea! It’s the perfect game day food, and there is ZERO prep or cooking! I love it. I would love to attend your party with all these treats. Looks like a great spread for Game Day or any party day, really. 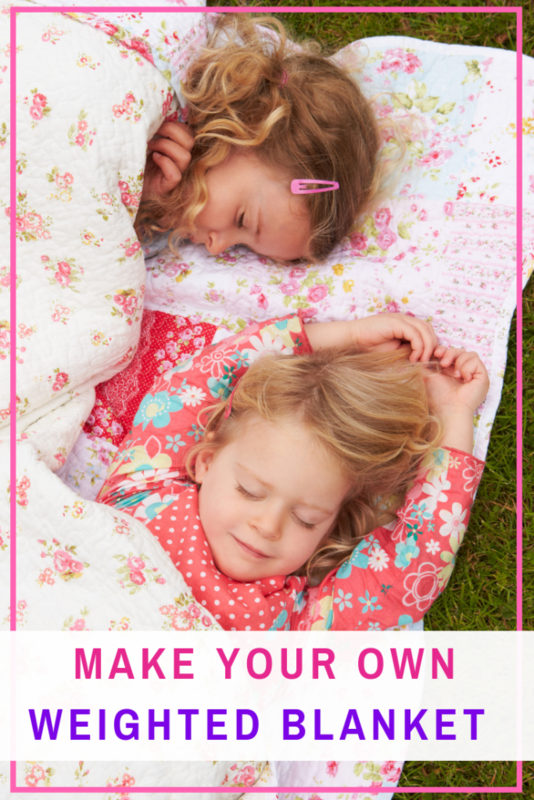 Thanks for some ideas on how I can host a party and share some delicious food with guests. We’ll be ready, as we’re going to a family member’s home like every year. It’s become a tradition. We’ll bring a small dish to pass and our own alcoholic beverages. I really love your tips for that person who wants to add a little flair to their game day party. Awesome food ideas! I love the thought of ordering up some subs. 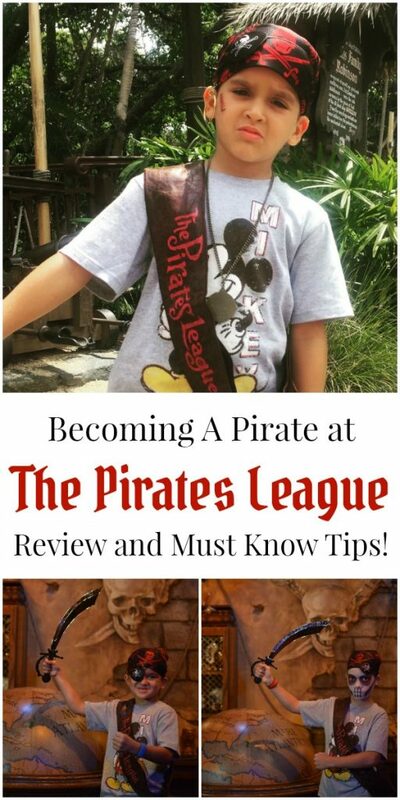 Not only is that super easy, but it lets everyone enjoy the game instead of working away in the kitchen. I have never had these subs before. They look really yummy! The perfect Superbowl food! Yummy!! This looks like such a delish big game setup! I would love to get this catered for sunday’s game time! Sign me up for those subs! What an easy way to throw a party!